Sharing a timeline of developments in the Nirav Modi case, Congress spokesperson Randeep Singh Surjewala claimed that it was "Bada Modi" Prime Minister Narendra Modi who "snoozed". Apart from claiming that the charges against him were politically motivated, Nirav Modi said in the bail plea that he has a 5-year-old child to look after. He also offered £ 500,000 as security deposit. However, District Judge Marie Mallon denied bail to Modi and remanded him in custody till 29 March, saying there was substantial grounds to believe that he would fail to surrender if granted bail. India Today reported that the Westminster court rejected Nirav Modi's bail plea because he is too much of a "flight risk", which means he has a lot of money and the motivation to flee. In a major setback to Nirav Modi, the Westminster court rejected his bail application on Wednesday. According to India Today, he will be in custody of the metropolitan police in London till 29 March, when a hearing in the extradition case will be held. In his bail petition, Nirav Modi argued that the charges against him were politically motivated. He also claimed that he was cooperating with the Indian agencies in the probe. The case on fugitive diamantaire Nirav Modi's extradition was adjourned in the Westminster court till 29 March. According to reports, Nirav Modi appeared in court during the hearing and refused consent to extradition. Congress leader Priyanka Gandhi lashed out at the BJP for claiming that Nirav Modi's arrest was an "achievement". "Ye achievement hai? Jaane kisne diya tha? (Is this an achievement? Who let him go? ),' she said. The Times of India reported that Nirav Modi's legal team is present inside the Westminster court in London. The fugitive diamond merchant will be produced before a magistrate court in London in 20 minutes from now. Nirav Modi and his uncle, Mehul Choksi — the main accused in the $2 billion PNB scam — both left India before the details of the fraud came to light in January 2018. Nirav Modi is believed to have arrived in London in 2018 and was able to travel in and out of Britain at least four times since his passport was cancelled by the Indian authorities in February 2018. According to PTI, he is now believed to be running a new business, which describes itself on the UK's Companies House register as a wholesale trader in watches and jewellery and a retailer of watches and jewellery in specialised stores. Nirav Modi will be produced before a District Judge at Westminster Magistrates' Court in London to be formally charged, following which he is expected to seek bail. Speaking to reporters on Nirav Mod's arrest, Union minister Prakash Javadekar hailed the Narendra Modi government's efforts to bring back economic offenders. 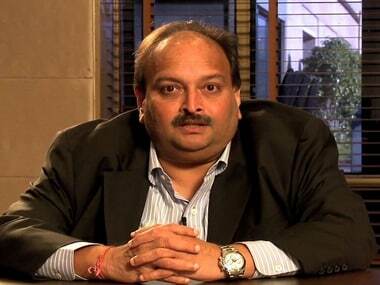 "Mallya will also be brought to India. They (fugitive offenders) are left with no other option," he said. India Today reported that Nirav Modi, who will be produced in a Westminster court, will brought in from back gate of the court premises. He is currently at the holding cell of court. India Today reported that fugitive diamantaire Nirav Modi spent the night in police custody after he was arrested on Tuesday. The arrest came days after a London court issued an arrest warrant against him in response to a request by the Enforcement Directorate for his extradition in a money laundering case. Speaking to reporters after Nirav Modi was arrested in London, Congress leader Ghulam Nabi Azad said, "They (BJP) had only helped him flee the country, and now they are bringing him back. They are doing this for the Lok Sabha election, and they will send him back (to London) after election." A PMLA court in Mumbai has issued a non-bailable warrant against Ami, the wife of fugitive diamantaire Nirav Modi, the main accused in the $2 billion PNB scam case. The court also permitted the Enforcement Directorate to sell 173 paintings and 11 cars belonging to Nirav Modi. Fugitive diamond merchant Nirav Modi has been arrested from Holborn metro station in London and will be produced in court later on Wednesday, ANI reported. On Tuesday, the Central Beauro of Investigation (CBI) sources said expeditious efforts were being made to get Modi extradited from the United Kingdom. They said an extradition request was sent to the United Kingdom through the external affairs ministry. Fugitive diamantaire appeared in Westminster court, where the case will be allocated to a chief magistrate. 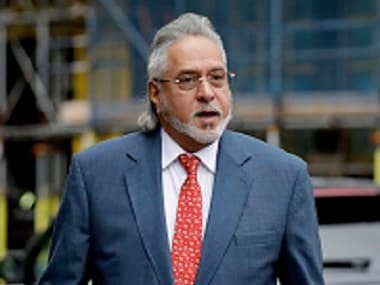 Reports said that the Enforcement Directorate is being represented in Westminster court by Mark Summers, the lawyer who also represented it in Vijay Mallya's case. Interestingly, both the fugitive businessmen also have the same defense lawyer, Anand Doobay. Earlier in the day, the Enforcement Directorate obtained permission from a special court in Mumbai to sell 173 paintings and 11 vehicles "beneficially owned" by Nirav Modi. After getting the PMLA court's permission on Wednesday, the ED will put on sale the 173 paintings "beneficially owned" by Nirav Modi which are valued at Rs 57.72 crore and his eleven vehicles that include Rolls Royce, Porsche, Mercedes and Toyota Fortuner. A public auction will be held later in March, officials were quoted as saying by PTI. They further said a court also allowed the Income Tax Department to sell another 68 paintings seized by it as part of its separate probe against the absconding diamantaire. Nirav Modi has been arrested on a bailable warrant, and is likely appeal for bail during the hearing. The Westminster court on Wednesday might set the date for his extradition hearing. National Conference leader Omar Abdullah tweeted on Nirav Modi's arrest: "It’s amusing to see the BJP falling over itself to credit the prime minister with the Nirav Modi arrest while completely ignoring the fact that it was The Telegraph of London and it’s correspondent who found Nirav Modi, not the prime minister and his agencies." It’s amusing to see the BJP falling over itself to credit the PM with the Nirav Modi arrest while completely ignoring the fact that it was The Telegraph of London & it’s correspondent who found Nirav Modi, not the PM & his agencies. It takes a special kind of hubris to roam around Oxford Street without a care in the world the way #NiravModi was. It’s no wonder it caught up with him. The arrest of Nirav Modi comes days after the fugitive businessman was tracked down to a 33-storey Centre Point Apartment complex in London’s Theatre district. PNB Fraud Case; Nirav Modi Arrested LATEST Updates: In a major setback to Nirav Modi, the Westminister court on Wednesday rejected his bail application. Apart from claiming that the charges against him were politically motivated, Nirav Modi said in the bail plea that he has a 5-year-old child to look after. He also offered £ 500,000 as security deposit. However, District Judge Marie Mallon remanded him in custody till 29 March, saying there was substantial grounds to believe that he would fail to surrender if granted bail. The case on Nirav Modi's extradition was earlier adjourned in the Westminster court till 29 March. According to reports, Nirav Modi appeared in court and refused consent to extradition. National Conference leader Omar Abdullah tweeted on fugitive diamond merchant Nirav Modi's arrest and said, "It’s amusing to see the BJP falling over itself to credit the prime minister with the Nirav Modi arrest while completely ignoring the fact that it was The Telegraph of London and it’s correspondent who found Nirav Modi, not the prime minister and his agencies." Nirav Modi is to be produced before a magistrate court in London at 4.50 pm IST. Speaking to reporters on Nirav Modi's arrest, Congress leader Ghulam Nabi Azad said, "They (BJP) had only helped him flee the country, and now they are bringing him back. They are doing this for the Lok Sabha election, and they will send him back (to London) after election." India Today reported that Nirav Modi spent the night in police custody after he was arrested on Tuesday. The arrest came days after a London court issued an arrest warrant against him in response to a request by the Enforcement Directorate for his extradition in a money laundering case. A PMLA court in Mumbai has permitted the Enforcement Directorate to sell 173 paintings and 11 cars belonging to Nirav Modi. The court also issued a non-bailable warrant against Ami, the wife of fugitive diamantaire Nirav Modi, the main accused in the $2 billion PNB scam case. Nirav Modi was arrested on Wednesday by Scotland Yard in London. A screenshot of the Telegraph's video, showing Nirav Modi in London on Friday. 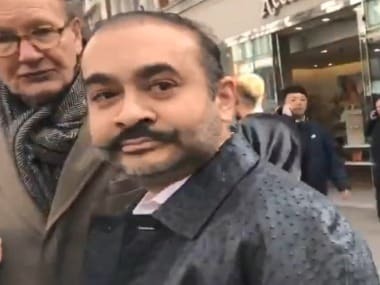 "Nirav Deepak Modi, 48 (Date of Birth 24.02.71), was arrested on behalf of the Indian Authorities on Tuesday, 19 March, in Holborn," the Metropolitan Police said in a statement. They said an extradition request has been sent to the United Kingdom through the External Affairs ministry. Highly placed sources said no new intimation had come to the agency after his spotting in London by some television channels Tuesday. These are legal processes which take their own time, they said, adding the CBI will provide every possible assistance to the UK agencies to expedite his extradition request which is open.